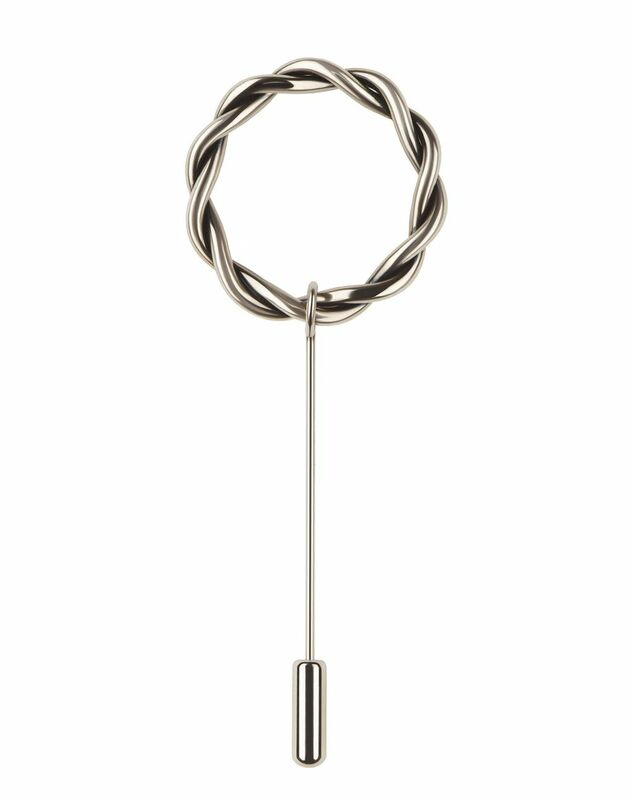 Pendant brooch in shiny gunmetal brass in a twisted ring shape. This brooch can adorn jacket collars or other top pieces for a modern and sophisticated look. Main material: 100% brass. Made in Italy.